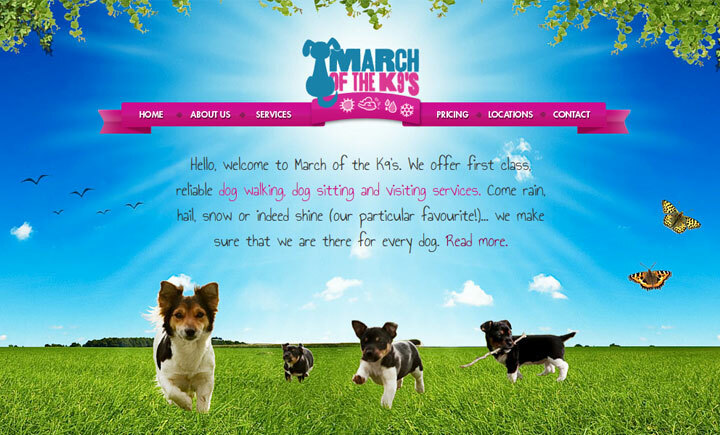 Based in Leeds, March of The K9’s offer dog walking, doggy daycare and also dog homestay services for local dog owners. Dog walking: individual dog walks and group walks are available, depending on what is appropriate for your dog. If you’re going to be away from home and don’t want to leave your dog in boarding kennels, we offer a dog homestay service. Your dog will be well looked after, well exercised and given all of the attention that they would normally get at home.